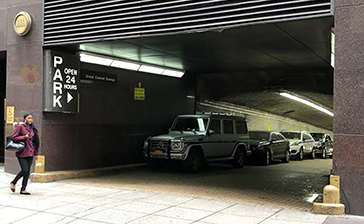 Parking.com has convenient parking near NYC's Grand Central Terminal. Click on a location name for parking information including rates, hours of operation, and entrances. 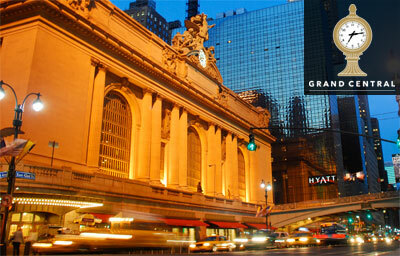 Special holiday events will be held at Grand Central Terminal throughout the season. Visit the 15th Annual Holiday Train Show at Grand Central located in the NY Transit Museum Gallery Annex and Store Shuttle Passage to view a model replica of Metro North, New York Central, and subway trains departing from a mini Grand Central. Or drop by Vanderbilt Hall and pick up holiday gifts from the 17th Annual Grand Central Holiday Fair which will feature 76 vendors selling items such as clothing, accessories, bath and body items, home goods, toys, collectibles, and more! 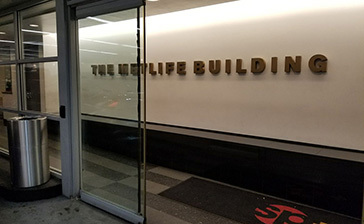 Grand Central Terminal is one of the busiest train stations in the country, and serves commuters traveling to New York and Connecticut through Metro-North Railroad and the 4,5,6,7, and S Subway Lines. The terminal is also home to many fine-dining restaurants, retail and specialty shops, and attractions including: the world-renowned Oyster Bar, Michael Jordan Steakhouse, Cipriani Dolci, Grand Central Food Market, Apple Store, and New York Transit Museum Gallery Annex & Store.